The Oregon Trail is a tale about the author’s journey through the mid-west with the early frontier pioneers as they began to move along the Oregon Trail and settle the new lands of Oregon and California. This is a topic suggestion on The Oregon Trail from Paper Masters. Use this topic or order a custom research paper, written exactly how you need it to be. 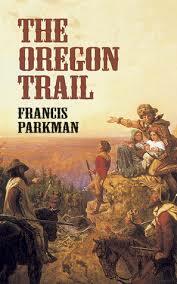 Francis Parkman’s, “The Oregon Trail” is a tale about the author’s journey through the mid-west with the early frontier pioneers as they began to move along the Oregon Trail and settle the new lands of Oregon and California. Parkman’s narrative encompasses an ecological view of this early land throughout its discourse as he reveals the many ways in which the early settlers utilized the land and made their way across it. This intrigue over a land not yet entirely discovered takes on an ecologically based infatuation because of the settlers’ dependence on its bounty for survival and the challenge to tame it. There is however a cultural element that cannot be dismissed. The Native Americans held a respect for the ecological value of the land, which was integral to the Native American cultural identity. It can be reasoned that the land dictated Parkman’s journey because of his curiosity to explore the vast prairies and mountains, which had formed the basis of Parkman’s quest. Parkman makes this assertion at the start of his book. “In one of these, the Radnor, since snagged and lost, my friend and relative, Quincy A. Shaw, and myself, left St. Louis on the 28th of April, on a tour of curiosity and amusement to the Rocky Mountains.” It was this undying curiosity that fueled Parkman’s desire to explore the Oregon Trail with his friend and soon to be partner, Quincy Shaw. Their journey begins in St. Louis where they embark for the Oregon Trail through the means of a steamboat, which will take them to Kansas, and the starting point of this ecological adventure. This is another depiction of the land dictating Parkman’s journey, as they must follow this water route if they wish to follow through with their plans of exploring the western frontier. In fact, according to Parkman, everyone embarking on the same journey can be found on this steamboat, such as trappers, traders, hunters, and settlers, all of which are equally dependent on the ecological elements of the lands surrounding the Rocky Mountains. To properly understand the control the land along the Oregon Trail held over its journeying participants one must understand the unspoiled nature that the Rocky Mountains and the surrounding countryside embodied. For instance, early on in his narrative, Parkman explains how all of the travelers are subject to the atmospheric changes found along the Rocky Mountains when a tremendous storm drops a deluge of water on the area, which hampers all thoughts of travel for the adventurers. This delays plans for most all of those individuals seeking to find adventure, fortune, or new life along the Oregon Trail. Blood Brothers - Blood Brother Research Papers discuss a western novel during the 19th century. California Gold Rush - California Gold Rush book reports discuss a book by Susan Lee Johnson about the forgotten history of the Gold Rush. Bury My Heart at Wounded Knee - Bury My Heart at Wounded Knee Research Papers delve into a book by Dee Brown that brings the attention to the torture and atrocities encountered by the American Indians, in the attempt of the Europeans to form this new country. Overland Trail - The Overland Trail Research Papers look at one of the heavily traveled routes by the pioneers heading out West during 1862 -1868. Paper Masters writes custom research papers on The Oregon Trail and delves into a novel by Francis Parkman about the journey through the mid-west with the early frontier pioneers.